Guinness Book of World Records, Snowball Fights, and Rick Mercer! It Doesn't Get Better Than This! Okay everyone! This is probably one of the top moments I have had in a long time! So far a definite highlight for my 2016. I feel like the whole event and experience came about so organically I couldn't have planned this if I tried. 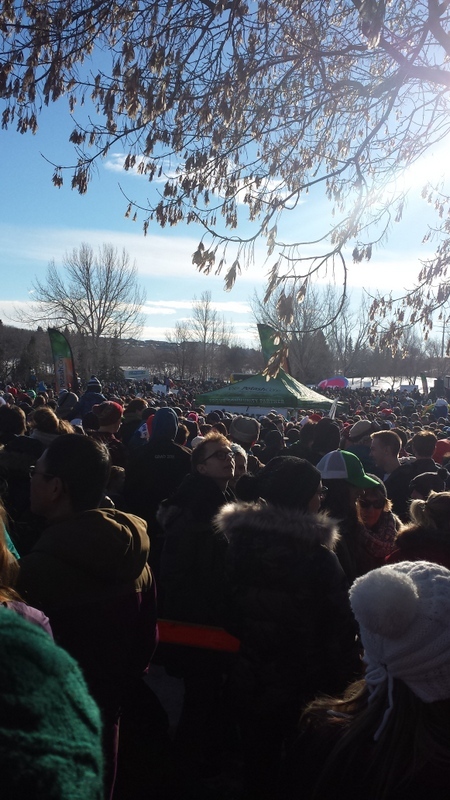 About four days prior to the event a good friend on social media had posted up that on January 31, 2016 ~ Saskatoon would hold an attempt to break the world record for the worlds largest snowball fight! And and AND! Rick Mercer was going to be there to film his show Rick Mercer Reports! Now let me start out by saying that, when I first discovered Rick Mercer on This Hour Has 22 Minutes his humor and manner of delivery was right up my alley! 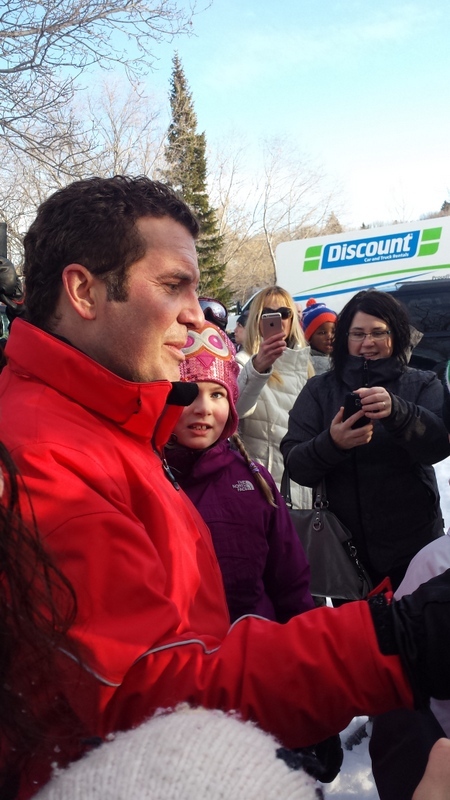 So when I read Rick Mercer was going to be at this event I was IN! So the talk between my friend and I was of course I had to get a selfie with Rick! If you can tell by the first picture I share in this post...there were thousands of people there. I mean we are talking wall to wall people. It was beyond peopley! I can honestly say I have never been in a crowd that deep EVER! It was frightening yet awesome to see so many people get together for an afternoon of good old fashion fun! 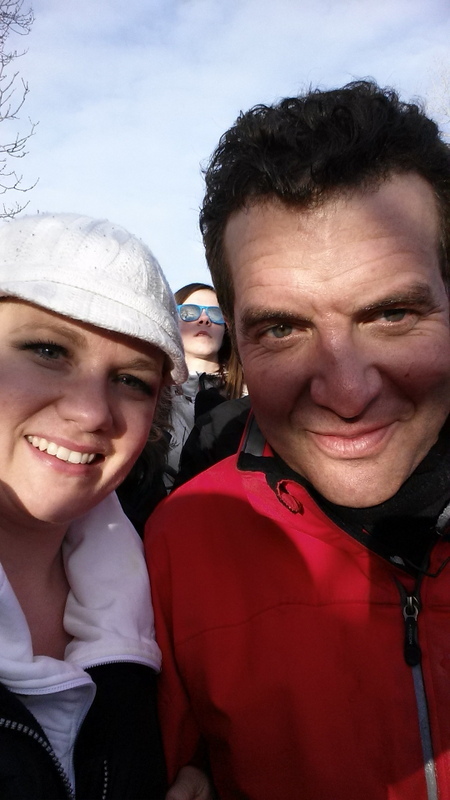 However, looking around me I had no clue, how on earth, would I see or get close enough to even get a picture of Rick Mercer, let alone a selfie with him! The snowball fight itself was a minute long and fierce due to the snowballs being more like ice balls than fluffy light snowballs! It definitely stung and we laughed so hard I almost cried! After the frenzy and fury the crowd began to disperse and we made our way to the main stage in hopes of getting a glimpse of Mr. Mercer! He wasn't there and I had resigned myself to the fact that this selfie idea may not happen. In fact the chances of me finding my way through 8,000 plus people to meet our beloved Rick Mercer was pretty much a needle in a hay stack. While we were standing at the main stage listening to music my amazing sister spotted a crowd forming behind the stage and boom there he was! Taking selfies with fans and trying to make his way to his team and vehicle! So we followed and I felt bad because I could see he was tired and probably ready to be done for the day; so I didn't want to push my way in there no matter how cool it would be! I looked back at my sister, thinking maybe just seeing him is enough... and sometimes, you know, it's the encouragement of others that gets the job done. She yelled at me, "Get in there!" So I did! I stood next to Rick Mercer as he took selfie after selfie with all of these people around us. Before I knew it there we were standing shoulder to shoulder. He looked at me I looked at him and I said, "Let's do it!" He grinned and I have to say the smile he gave was the most natural one I saw out of the selfies I witnessed him taking that afternoon! Mr. Mercer if you ever read this I want you to know how amazed I was at your kindness and gracious nature for your fans. I would not have blamed you one bit if you jumped in your vehicle, headed for home and never wanted to see another snowball ever again! Thanks for the great memory!